Today we're going to start talking about the Ten Commandments. Today we will focus on the two great commandments. Do you recall that Jesus Is our shepherd and we are all his sheep? Remember that the sheep are those who love as Jesus wants them to love and who follow him. Jesus is the shepherd who will lead them to heaven. In this lesson, we are going to learn that the goats are those who refuse to love Jesus and who turn away from him. As always here are a few questions for you to think about while we go through this lesson. Who will take us to the Father on the last day? What must be in our hearts when the Lord comes? Will our Lord have to ask us if we love him? What are some ways to show love of neighbor? Do we love God if we only love those who we like? Before we find out about what the two great commandments are, let's start by reading from a section from the Holy Bible. This will be from Saint Matthew's Gospel chapter 25: 31-45. Since we're going to be talking about the Ten Commandments, let's see what they are. The two great commandments are not spelled out here directly in the Ten Commandments, but if we follow the two great commandments we are naturally going to be following each and every one of the Ten Commandments. So what are the two great commandments, you might ask? The first great commandment is to love the Lord with all your heart, with all your soul, with all your mind, and with your whole strength. The second great commandment is to love your neighbor as much as you love yourself. I hope you see that if you love God with all your heart and all your soul and all your mind and with everything that you have in your being, and if you love your neighbor as much as you love yourself, you will be following all the Ten Commandments. When you are following the Ten Commandments, you will be doing what Jesus wants you to do in order to get to heaven. Remember, that one day we're going to appear before Jesus our king, and on that day he's going to judge us. When he judges us, he is going to look at everything that we've ever done in our life. The biggest things that he will be looking for are if we have love in our hearts and if we have loved others while we are were living our life here on earth. You can take a look at your life right now to see if you really have love in your heart. Are you always kind to everyone that you see? Do you judge others before you find out how they really are? Are you helpful and are you generous? Do you really listen to others? Do you help in every way, the people who you know? Do you make fun of people and do you talk about them behind their backs? I think we should all look at ourselves in the mirror every day. That goes for me and you. We should ask ourselves these questions. Have I really loved myself today? Have I really loved my neighbor and my friends? Have I really loved God today? If God is going to ask us those these questions, then we might as well be asking those of ourselves as we are living today so we will be able to live the way God wants us to live. If you are always loving yourself and loving your neighbor you can probably be pretty sure that you are following the Ten Commandments. If you're following the Ten Commandments, then Jesus will definitely know you as one of his sheep and not as one of the goats. It's very important for us to believe what God has revealed to us and taught us through his Church, and to also to keep his laws and his commandments. These are both very very important if we want to make it to heaven after we die. If you take a closer look at the Ten Commandments you will see that the first three commandments of God teach us how to love God. The last seven of the Ten Commandments show us how to love one another. Let's read a little bit more from the Bible. This reading will be an example of how we should love. It's from the Gospel of St Luke chapter 10: 25-37. Now let's have a reading from St Luke's Gospel about how to love others. This will be from chapter 6: 27-38. I hope you see from the readings and by the commandments that God gave us, that God really and truly wants us to love ourselves and to love one another. Student: Will Jesus know, without asking, if we love him? Yes, Jesus will know what we think and he will know how we feel. He can see right inside of our heart and soul and he will know if we have loved before he asks us. Student: Do we love God if we only love some of our neighbors? No, if we only love some of our neighbors we are not truly loving like God wants us to love. God wants us to love everybody, those who we like and those who we do not like, those who we get along with, and those who we do not get along with. Student: Do we have to keep holy the Lord's Day? Yes, one of the Ten Commandments is that we must keep holy the Lord's Day. That means to pray and to go to Mass on Sunday and Holy Days of Obligation. Student: What does the first great commandment tell us to do? The first great commandment tells us to love the Lord our God with our whole heart, with our whole soul, with our whole mind, and with our whole strength. Student: What does the fourth Commandment tell us to do? The fourth Commandment says to honor thy father and thy mother. This means to not do anything against your mother or father here on earth and also to honor your Father in Heaven, as well as his mother, the Blessed Virgin Mary. Student: Who must we love? We must love ourselves and our neighbors, and of course, God. I hope this lesson has helped you learn a little bit more about the Ten Commandments and the two great commandments. Why don't you take a moment, after you finish this chapter, to say a nice prayer for anyone who you don't get along with? You can ask Jesus for both of you to get along better with each other and for you to love and to forgive that person for whatever it is that is bothering you. This is step 14: The Resurrection and Life Everlasting. I hope you were able to learn about the communion of saints and the forgiveness of sins in our previous chapter. Recall that in that lesson we talked about what the communion of saints means and what that entails. Basically, the communion of saints is the belief that we here on earth, who are the followers of Jesus, are connected with the saints in heaven and the souls in purgatory. We also learned in our last lesson that the priests of the Catholic Church were given the power, two thousand years ago, to forgive our sins. This was done when Jesus told his apostles, “whatever you bind on earth is bound in heaven and whatever you loose on earth is loosed in heaven.” That authority and power has been passed down from the apostles to the priests and continues to be passed down through the priesthood today. In today's lesson, we will wrap up the section on the Apostles Creed. The final section of the Apostles Creed states: “I believe in the resurrection of the body and life everlasting.” The Resurrection of Jesus is when Jesus was raised from the dead on the third day after his crucifixion. We celebrate this event each time that we celebrate Mass. This is the reason that we are followers of Jesus Christ. Jesus proved to those on earth that he certainly was God. When Jesus rose from the dead on the third day after his crucifixion, this really and truly did prove that he was God. No mere man could ever raise themselves from the dead. The resurrection of the body, as we read about in the Apostles Creed, is when all bodies are resurrected to join their souls in heaven at the end of the world. Is death the end of all life for us? What is our Lord doing for us in heaven? What must we do while we are here on Earth? Why must we always be prepared for death? Let's start off by reading a section from the Holy Bible. This is from Hebrews chapter 13 verses 20 and 21. I hope that you know that heaven is really and truly our home. This is where we are really meant to be. Our blessed Lord Jesus certainly loves us very much. He loves you, he loves me, and he loves everybody very much. He went to heaven to prepare it for us one day. Jesus told his disciples the night before he died, “I go to prepare a place for you and if I go to prepare a place for you, I am coming again, and I will take you to myself, that is where I am, there you also may be, and where I go you know, and the way you know.” You can find that in the Gospel of John, chapter 14: 2-4. When he told the apostles that, they were a little puzzled. The Apostle Thomas was really not sure what Jesus meant when he said that they would know the way. Jesus did his best to clear it up by saying, “I am the way, and the truth, and the life. No one comes to the Father but through me.” By telling Thomas and the apostles this, it was clear that in order for anyone to make it into the Kingdom of Heaven they must follow Jesus. Just as Jesus had to die in order to enter his Father's Kingdom, we too must die one day. If we die in a state of grace, without any mortal sin on our soul, without any selfishness, and with pure love in our hearts, then we will be able to join Jesus and the Father and all the saints in heaven. If we die without mortal sin on our soul but we are still not perfect, then we'll go to a place that we call purgatory. This is where our souls will be washed perfectly clean like the cleanest towel or the cleanest sheet that you can possibly ever imagine. You can think of purgatory in this way: Let's say you're going to give a car to your best friend. You wouldn't give it to them all dirty and dusty and sticky now would you? You would probably take it to a car wash and then take it home. You would give it the best detailing job and vacuuming that you possibly could. You would run that vacuum so hard on the carpet that if that car had feelings it would say, “ouch, stop vacuuming me so hard, that hurts!” That's the same thing that happens when we are in purgatory. It may hurt a little bit, but our soul will be perfectly clean so that when we enter the beauty of heaven we will be perfectly clean and pure. You know, it is only our soul that joins the souls of the saints in heaven. There will be a final resurrection one day. This will be at the end of the entire world, at the end of time. At that time all the souls who are in heaven will be connected back with their most perfect body. After the final resurrection, the body that you have in heaven will have no illness, no sickness, no injuries, and no pain or suffering. Nothing will affect your perfect body and soul ever again. Right now, at this point, there only two bodies in heaven. Do you know who they are? You may remember from earlier lessons that Jesus and our Blessed Mother, the Virgin Mary, are the only two bodies who are in heaven right now joined with their soul. Remember that when Mary went to heaven we call this the Assumption. The Assumption of Mary is when Mary’s body and soul were both taken into heaven. Right now only the souls, of the people who have died in a state of grace, are in heaven. When we die, but before the end of the world’s final judgment, we will all receive a personal or particular judgment. Our judgment will be given to us by Jesus himself. We will be told that we are going to heaven immediately or that we have to go to purgatory for a while, or that we must spend eternity in hell. I don't know about you, but I certainly don't want to go to hell when I die. People here on earth just really don't know when their time to die will be. Only God knows the day and time when we will die. I believe it is a great idea that we always remain ready for that day just in case today is the day that Jesus calls us to join him in heaven. If today, next year, 10 years from now, 30 years from now, or 50 years from now is the day we die, we should always remain in the state of grace so that when Jesus sees us in front of him after we die, he will be able to easily say “Well done my faithful son (or daughter).” If we are always ready and always in a state of grace without mortal sin then are assured that we will go to heaven. Again, we may have to spend some time in purgatory to cleanse our soul so it will be perfectly clean and perfectly pure, but we do know that we will make it into heaven. If we die loving Jesus, following Jesus and staying free of mortal sin in our life, we will make it to heaven. Being in the state of grace means to follow and obey what the Church teaches. Remember if we are following with the Church teaches we are also following what Jesus teaches. If we disobey what the Church teaches then we are disobeying Jesus. If we disobey Jesus, then this will likely not be a good sign for us on the day that we die. I don't know about you but I want to be ready at all times. I want to very much stay in a state of grace and not to have any mortal sin in my life. Remember, if by some chance you do slip up and you do commit a mortal sin, then please go to confession as soon as possible to see a priest and have your sins forgiven. This is one of our great sacraments of the Catholic Church, to have our sins forgiven by God through the priest. Let's read a little bit more from the Bible. This is from The Book of Revelation chapter 21: 3-4. It is about the happiness of Heaven. Here is our last reading for this lesson. This will show us the way that we must die to send in order to rise with Christ. It is from Romans chapter 6: 3-11. Student: Will the world last forever? No. As much as we would like to have it last forever, the world will end one day. Jesus will come to earth in the same way that he left earth. He left earth when he was taken into heaven in a glorious event. It was such a bright and glorious event. He will come again at the end of time just like that so that he may judge everyone’s soul to see if their body will be joining their soul in heaven. Student: Is death the end for us? No, it will not be the end for us. It will be the end of us here on earth, but at the end of time at the end of the world, our bodies will be resurrected and brought to heaven to join our souls that are in heaven to live for the rest of eternity. In order for that to happen though, we need to be in a state of grace when we die. Student: Is our life a preparation for heaven? Yes, most definitely so. Everything that we do on earth is preparing us for heaven. We are following Jesus. We are living his way. We are following his way because he told us that he is the way, the truth, and the life. If we follow him we will make it to heaven. Through the grace of God, we are given faith to believe in God, to follow God, and to do good things in the name of love for other people. Student: Will Jesus come again on the last day? Yes, he will. As I told you a couple of questions ago, he will come again to judge the living and the dead. He will come again on the last day in full glory and majesty. Student: Will Jesus Take everyone to heaven? Unfortunately not. Only those who he judges who are ready and who have lived a good and faithful life. Student: What is it called when Mary's body was taken into heaven? That is called the Assumption of Mary. This is when Mary was assumed body and soul into heaven. She was just taken into heaven at the end of her earthly life. Student: On the last day of the world, what of ours will rise again? Just like when Jesus rose again from the dead, on the last day of the world, our bodies will also rise and join our souls in heaven. Student: What do you call the judgment that will be at the end of the entire world? This judgment will be called the Final Judgment. At the Final Judgment, all those souls who are in heaven will have their bodies join their souls. All those who are going to stay in hell forever because they rejected God throughout their life will stay in hell forever. This will also be the time when there will no longer be any evil remaining anywhere except hell. Student: What do you call the judgment right after we die? That judgment is called personal or particular judgment. We will see Jesus face to face right after we die. He will again tell us, “Well done my faithful son (or daughter), come into heaven.” Or he'll say that you need to spend a little time in purgatory in order to be purified and to be perfectly clean. Unfortunately, the bad news is you might have to go to hell. You don't want that because hell is certainly not a place that you will want to spend eternity. There is good news though, you can do something about that right now. 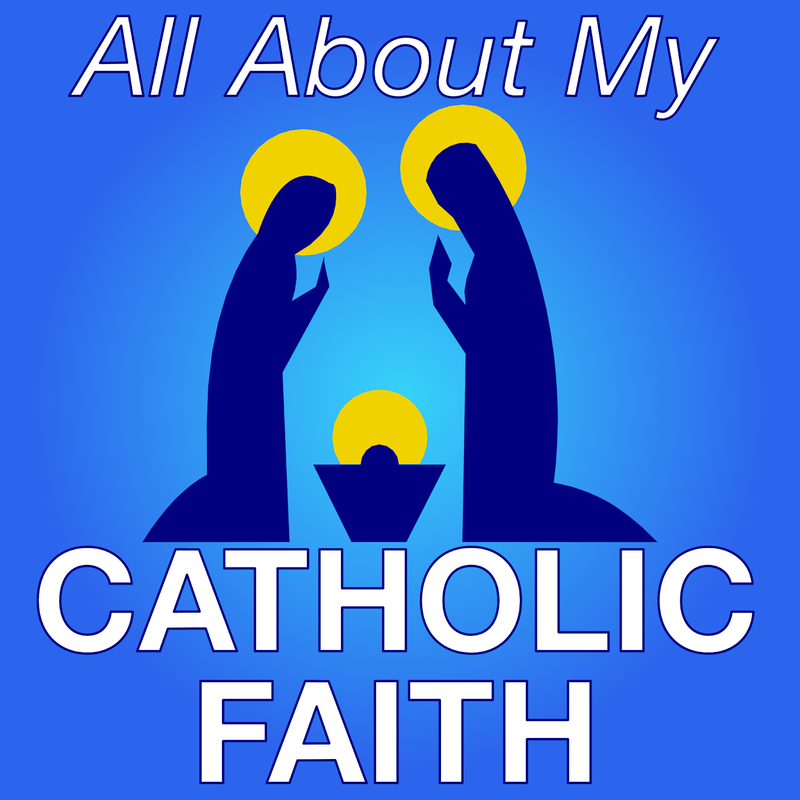 This will wrap up the first section of the Catechism which is about the Apostles Creed. 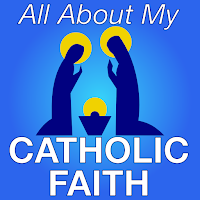 Remember the Apostles Creed is what tells us what we believe as Catholic Christians. These beliefs have been passed down throughout the 2,000 years of the Catholic Church, the one, holy, catholic, and apostolic Church. Our next lesson, which will be step 15, we will start talking about the Commandments of God. I'm sure you've heard of The Ten Commandments before. Over the next several lessons we will talk about what the Ten Commandments are and what that means for your life and in your life. I want you to know that you were made to be holy. You were made to be a saint. You were made to be great here on earth. So whatever you do, do it to the best of your ability, and do it for the glory of God. This is step 13: The Communion of Saints and the Forgiveness of Sins. We know that Jesus picked twelve apostles from among his disciples. He told them to go into the whole world to spread the good news of what he'd been teaching them. He also picked Peter to be their leader. This made the apostles the first bishops of the Church and it made Peter the first pope of the Church. We learned in our last lesson that in order for the Church to be the one true church that Jesus started, it must actually have four distinct marks. The marks needed for the one true church are: to be one; to be holy; to be catholic; and to be apostolic. There's only one church today that has all four of those marks. Many people don't really understand or don't really know the one church that has all of those marks is the Catholic Church. Today's lesson is about the Communion of Saints and the Forgiveness of Sins. In our past lessons, we have talked a bit about the Apostles Creed and how that fits into our faith today. In this section of the Apostles Creed, we say, “I believe in the Communion of Saints and the Forgiveness of sins.” Let's learn: why we believe in the communion of saints; what is the communion of saints; and how and why are we forgiven of our sins. Here are some questions for you to think about during this lesson. What did the early Christians do with the possessions that they owned? Why do we usually receive Holy Communion together at Mass? Let's get started with a reading from the Bible. This will be from The Acts of the Apostles Chapter 2: 42-45. They devoted themselves to the teaching of the apostles and to the communal life, to the breaking of the bread and to the prayers. Awe came upon everyone, and many wonders and signs were done through the apostles. All who believed were together and had all things in common; they would sell their property and possessions and divide them among all according to each one’s need. After Jesus ascended into heaven all of his followers kept loving him and kept obeying his teachings. All of his followers kept meeting often, usually at least every week, to learn all about what Jesus had been teaching them while he was here on earth. This meeting that they had is what we call the Mass. During Mass, they learned all about what Jesus had taught them and they received the most holy Eucharist at communion. All of Jesus's followers shared everything they had with each other. This wasn't just everything that they owned, it was also all of their spiritual goods. Actually, the word communion means sharing. The more that we love each other in Christ the more that we will want to share all that we have with each other. If we love one another very much we don't want to only share everything that we can see, we also want to share the things that we can't see, our love, our attention, and our dedication and loyalty. God has given us many graces and spiritual riches. The more that we love each other, the more that we will share in the graces and the spiritual riches that God has given each and every one of us. The more that we share what we have, the more that we will receive from others. Jesus wants us all to be saints. A saint is someone who loves and follows Jesus with all of his heart and all of his soul. We normally think of saints as those who live a very holy life and are now in heaven with Jesus. Of course, that is absolutely true. When we go to Mass and we have communion we're not just sharing communion with those holy people that are here on earth. At Mass, we are also sharing all of the graces that we receive from God with those in heaven - the saints. Another great thing that we do at Mass is to pray for each other. An even greater thing that happens is that the saints who are in heaven are also praying for us. They're praying for you and they're praying for me. One of the greatest things that we can do is to share Holy Communion with each other. Eating at the same table with one another is a really great sign of friendship. It is always great when you are invited to dinner with a friend or if you have friends come over to your house for dinner. When we share the Holy Eucharist at Mass, at God's table, this is a sign that we not only love God very much but that we also love each other. God did command us to love him and to love our neighbor. All the saints in heaven and all the holy people here on earth are also part of that communion at God's table. We are helping each other as best as we can to make it to heaven. The saints are in heaven praying every day to help you and I get to heaven. You can actually say we're all in this together. It's a great comfort to me that all the holy people that ever lived, who are in heaven, are actually praying for me and for you. One day I hope I get to meet them. As we learned in previous lessons everyone who lives a holy life here on earth and dies without mortal sin on their soul will go to heaven. None of us are perfect. Not even those who have lived a holy life and who have died without mortal sin. God never did ask us and he still does not ask us today to be perfect. All of the holy people who died without mortal sin but are not perfect, which of course is everyone except Jesus and Mary, will go to heaven absolutely positively most definitely. Jesus made that promise to us and he died on the cross for that very reason. We understand that people who have committed sins throughout their life but who died in a state of grace will go to heaven, however, they need to be perfectly clean before they enter the paradise of heaven. In order to get perfectly clean, you may send your car through a car wash or detail shop or your laundry into the laundromat. We will actually go to a place called purgatory. This is the place that we will go to have our souls perfectly cleaned to be ready before we go through the Gates of Heaven. All the people who have died who are in purgatory are being cleaned right now before they make it to heaven. They are very close to heaven. They will certainly make it to heaven one day that, is God’s promise. The communion of saints includes them as well. The communion of saints is all of the holy people here on earth who are loving each other and are loving God, all the people in heaven, and all of those who are very close to being in heaven while they are in purgatory. We can pray for each other here on earth and we should, however, the people in purgatory can't actually pray for themselves. We can however and we should pray for all of those who are in purgatory. When I say the rosary I try to often ask, as part of my intentions during the Rosary, for all of those who are in purgatory. I pray that they will be able to enter heaven very soon. Part of the Apostles Creed that we are talking about today says that we believe in the forgiveness of sins, and we do. We're going to learn a lot more about the forgiveness of sins in a future chapter but basically, the forgiveness of sins in the Apostles Creed means that God has given the Church through Jesus Christ the power to forgive our sins. Remember while Jesus was here on earth he gave the power to forgive sins to his apostles. That power and authority have been handed down throughout the last two thousand years to the priests and bishops of the Catholic Church today. Let's read a little bit more from the Bible to learn more about the communion of saints. whereas our more presentable parts do not need this. But God has so constructed the body as to give greater honor to a part that is without it, so that there may be no division in the body, but that the parts may have the same concern for one another. Here's another reading that will show our unity and our desire to share with each other by receiving Holy Communion together. This reading is also from 1st Corinthians, chapter 10: 16-17. Student: Christ gave the apostles the power to forgive sins. Is this true? Yes, that is absolutely true. We will learn later that Jesus told the apostles this: “Whatever you bind on earth will be bound in heaven and whatever you loose on earth will be loosed in heaven.” When Jesus said this to the apostles, this is when he actually gave them the power to forgive our sins. Student: Is it true that the priests today no longer have that power? No, that is false. The priests today do have the power to forgive sins today just like the apostles did. This power is been passed down throughout the two thousand years. That is one of the greatest things about the Catholic Church. All the powers that Jesus gave the apostles have been passed down throughout the years to the bishops and the priests of today. Student: Is the communion of saints only for those in heaven? No, not at all. Remember the communion of saints are all the people who are living holy lives here on earth, all the saints who have died and have gone to heaven, and all those who have died in a state of grace but who are not perfectly clean and are waiting for purification in purgatory. Student: What authority did God give to the Church to do with sins? God gave the authority to forgive sins to his Church. Student: What did the early followers of the Church do with their earthly and spiritual goods? The early followers shared their earthly and spiritual goods with each other. We are asked to share what we have with each other including our time, talents, and our money. That's why we give to the poor and why we give at the Church. We should also share what we can do with others, which is our talents. During these first thirteen lessons, we have covered almost everything in the Apostles Creed. The only thing that we have left to talk about is the resurrection and life everlasting. Jesus was crucified on Good Friday. If you remember from an earlier lesson, he rose again on Easter Sunday. The rising of Jesus is the resurrection, and the resurrection is what will give us everlasting life in heaven.